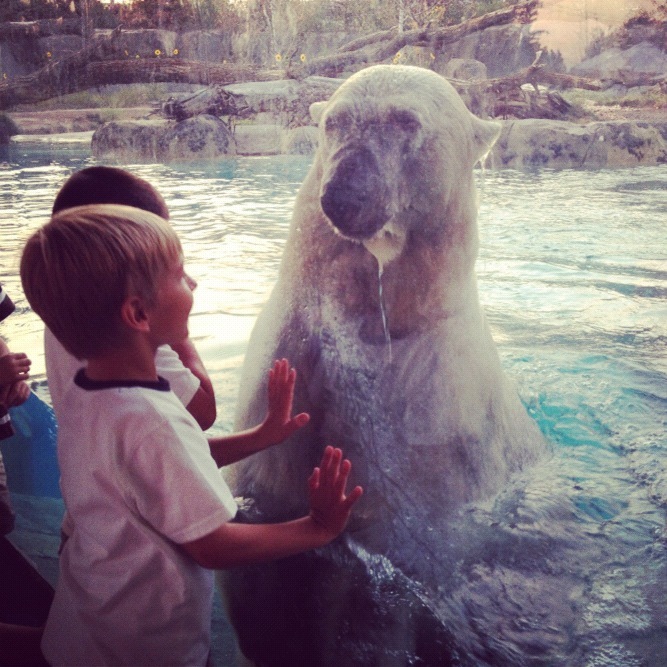 “Tell her about the polar bear!” I prompted my seven-year-old when my sister asked how our latest zoo trip had gone. It had been probably our best visit yet, full of up-close encounters, including the polar bear swimming right up to the glass where the seven-year-old had been standing, face full of wonder. The same thing happened during writing time with school. I’d ask him to write a story — just a one-page, second-grade-level story — and he’d be stumped for ages, even if he already had a prompt and knew what he wanted the story to be about. I hated seeing him so tense about it. I wanted him to gush with excitement over both the real story of the polar bear and his own made-up stories. And I realized that the skill we needed to foster was storytelling. 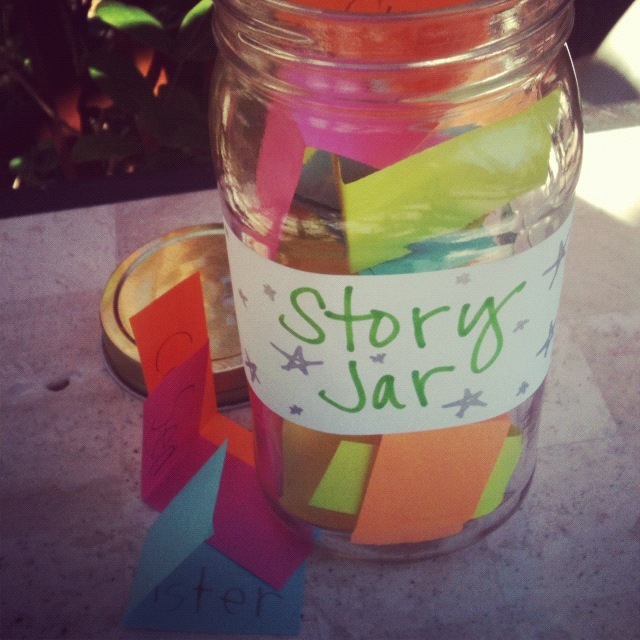 As usual, Pinterest came to my rescue with the idea of a story jar. I sliced up neon note papers and told the kids to write down anything. The usual protest of not knowing what to write didn’t persist long. Before I knew it, they were begging me to cut more slips. They’d filled out every single one and still had more ideas! Once I finally said “enough,” the storytelling itself was just as fun. They took turns drawing slips from the jar and adding to an epic-level story with a cast as big as their imaginations. Gradually their descriptions became more generous, like when the four-year-old’s monster turned “brown with blue spots and huge horns and three green — no, I mean red — eyes.” They also improved at connections that gave the story a better arc. When a random object showed up, I’d ask how it got there and they’d say things like, “The clever princess gave it to him.” Characters had believable motivations, such as the mouse putting on a life jacket and jumping into the sea to get away from the monster who couldn’t swim. Most impressive of all, the ending circled back to the beginning: the monster had squashed the mouse’s house, and in the end the mouse found a treasure chest that he used to make a new house. We’ve done it twice now, changing slips to create a completely new story, and it’s such a hit that I’m sure it’ll continue to be one of our favorite school activities. It gets me thinking, too. Maybe I need more creative exercises for my own writing. Maybe I need to work on my storytelling. Maybe I need to find ways to have fun instead of feeling stumped as I stare at the screen. Maybe I need to stretch my imagination just a little more. Funny how even elementary school can be for grown-ups too. Yesterday it took the form of a hair brush that my eighteen-month-old accidentally left at church. I happened to notice it missing two hours after church, which then sent me walking back to retrieve it, which ended with a rendezvous with someone I needed to talk to but wouldn’t have otherwise had the chance to. But lately most of the coincidences in my life have to do with a mouse. I’ve been thinking about the moment in a story when you recognize a plot twist: how sometimes it’s obvious in an instant because of a major coincidence, and how other times coincidences are inconsequential enough that the plot twist sneaks up on you until all the small coincidences start to compile and you realize that something big is happening. The mouse thing, which might also be called a cat thing, was the latter kind. I should begin by saying that I have never wanted a cat and don’t even particularly want a pet at all. If if I did, I’d lean toward a dog, hands down. Hubby is the same way. This idea intrigued me. Could a pet really be that easy and unobtrusive? That same month I also bought house plants for the first time in my life after reading about the health benefits (purifies the indoor air), and I happened to also read health benefits about having a pet (fewer allergies, colds, etc). But I still didn’t want one. Then, last week, I heard nibbling sounds from behind the wall in the kitchen late one night. I froze, thinking, “Oh crap! What am I supposed to do about a mouse? ?” But then the corresponding thought was “I guess I’ll get a cat after all,” and that satisfied me enough. Until I actually saw the mouse. Two nights later my sister and I were at the kitchen table when a dark furry thing scurried across the floor and darted under the fridge. I called my parents, my in-laws, my hubby — asking everybody for advice. But the more they described poison and various traps, the more sick I became over the whole idea. That’s when the other coincidences became noticeable. 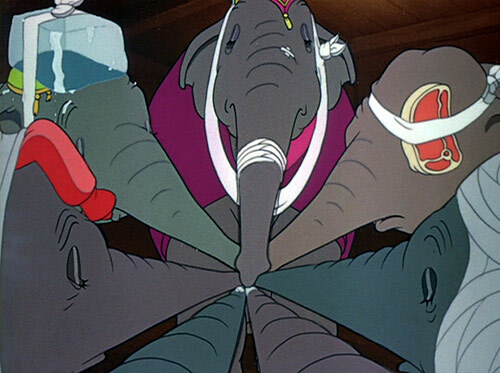 My kids had been watching Dumbo for like a week straight, and suddenly I pictured those stupid elephants freaking out about a mouse and felt dumb about doing the same. My eighteen-month-old has been in love with a lift-the-flap book called Follow the Prophet by Val Chadwick Bagley and his favorite page, about the boy Samuel in the Bible, has three or four cute little mice on it. 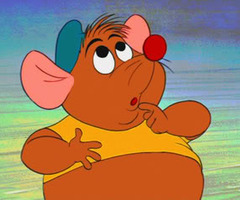 Then my sister joked about “Gus Gus” from Cinderella and how we should give our mouse shoes and a shirt. Stories have this way of catching and changing us, don’t they? And it’s like we need only be reminded of them and suddenly they change our course: a story snare and a plot twist. The next plot twist was the husband. We talked about it. I explained my position. I gave him my reasons and plenty of concessions, like the fact that I agree with him and I didn’t actually want a cat either, but that I feel good about it for whatever reason. But though the conversation went well, nothing I said made him budge at all. 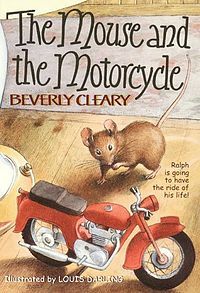 I had to explain that I can’t kill the mouse because all the story snares — now including his reference to Beverly Cleary — had gotten me thinking of it as an innocent creature we can’t kill for no reason. Before I knew it, Hubby was talking about naming the cat after the Yankees, how he wants a black-and-white cat he could call Pinstripe, and we were discussing where to put a litter box and a scratching post. Funny enough, the person I talked to thanks to the hair brush yesterday mentioned something about choosing to see God in the coincidences — the plot twists — of our lives. “I HAVE to Read That”: How Many Words Does It Take to Hook a Reader? 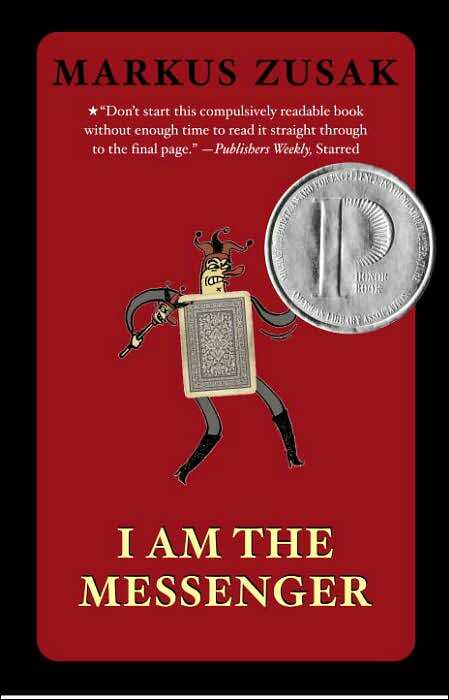 Have you ever heard just the tiniest premise about a book and thought, “I have to read that”? Let me tell you, coming up with that golden tiny premise is not easy on the author’s part. I still dread the prompt, “So tell me what your book’s about,” because I don’t know which part they want to hear. My book’s about a lot of things. It’s so hard to sum up 330 pages in a few sentences! Life always ushers in the least likely. How else could the universe amuse itself? Seventeen and staring down the last summer before graduation, Wendy Stark and the four guys she’s grown up with are making a break from gray-skied Portland — running away from looming adulthood by driving south on a whim and a blog (the ad revenue–generating kind). At least, that’s the story they’re telling site visitors. Really, Wendy is evading recently divorced parents, and each boy has his own reasons for tagging along. None of them knows about the fairy stalking them, trying to steal magic Wendy doesn’t know she has. When the fairy’s pranks flop and her last desperate attempt goes awry, it leaves the guys wondering why “Dee” is suddenly so strange and leaves Wendy, now six inches tall, to learn to fly and dodge predators on her own — and to convince long-lost Peter she’s real. That’s 150 words exactly, which was my goal. But something’s still not right. I guess my trouble is that I want to give a sense of my characters as well as my plot, but since there are just so many of them, fitting that into a short blurb feels hopeless. Topher has taken misery to a new level since his two-year girlfriend called it quits. Zander might get voted Most Likely to Be Stunned by Tasers thanks to the mob of girls he’s dated and dumped. Paint-splattered Phil keeps threatening to stab his hand if his artwork doesn’t get up to his own standards. And Drew the ever would-be hero would do anything for “Dee” . . . except admit he’s in love with her. An ignorant fairy shadows five teens on a road trip, hoping to steal enough magic to survive. Would that tempt you to read the book? I’m guessing not yet. My blurbs are not quite there yet. They’re missing some umph. One-hundred-and-one words that are perfect. I know the premise, I know the main character, I know what kind of story this is, and I want to read it. Yes, the large Printz award on the cover and the FIVE starred reviews inside the cover (one of them featured above the sticker) definitely helped sway me, but I think if I were an agent or editor seeing this in a query letter, the 101-word blurb would have persuaded me to read it, too. So here’s the question of the day: What does a blurb have to do to make you want to read the book? What books or movies (any story, really) have grabbed you because of a well-worded premise? How many words does it take to hook a reader? I remember reading an interview with Libba Bray about A Great and Terrible Beauty where she said that after finishing one of the early drafts she realized the main love interest vanished for over a hundred pages in the middle! Like, not literally vanished because of some magical apparatus or whatever, but vanished because she’d forgotten to include him in more scenes. Similarly, I’ve had readers mention that some of my plot arcs become M.I.A. in the middle of my latest draft. I have a decent excuse — there’s a lot of other major stuff happening in the middle — but it is true that I can’t just drop plotlines and pick them back up later. They’re all supposed to weave together through the novel and, you know, arc. It’s a little tough to arc if the line drops out altogether for a while. I’m thinking this probably comes from my lack of outlining. I’m a fairly organic writer, feeling my way through the story. But at some point (oh, say draft four) it’s necessary to get organized. So yesterday I listed every scene in every chapter and labeled them (so the second scene in Chapter 5 would be Scene 5b, etc). Then I created a table listing my plotlines (at least one for every character, pretty much) down the side and chapters across the top, plopping the scenes into the intersections. Tedious? Yes. Helpful? Definitely. Seeing it visually like that was eye-opening. Sorry to be a little secretive by cutting off the names of the plotlines, but notice how bad that sixth one (a blue line) is. I’d built it up nicely in the first five chapters only to have it disappear until Chapter 20! Oops. And the one under that I’d introduced briefly and then ignored until seven chapters later that plotline hits a crisis moment with readers not even remembering it was a thing (or so they’ve told me). And the last one’s pretty bad, too. It’s not like I want every plotline to show up in every chapter. That would just be overkill. But there should be some kind of development (build up) for each plotline at least every third chapter or so and probably all of the plotlines should appear multiple times right before and during the climax to make that climax nice and complicated in a pleasantly tangled way. Moral of the story? Well, a little organization goes a long way. I’d been wondering what scenes to work on next, and now I can see exactly where I need to either add new scenes or weave these plotlines into the existing scenes. What works for you when you need to get organized? Outlines? Notebooks? Index cards? Three-ring binders? Sometimes it’s possible to love something to death. Like kids do with their favorite things. 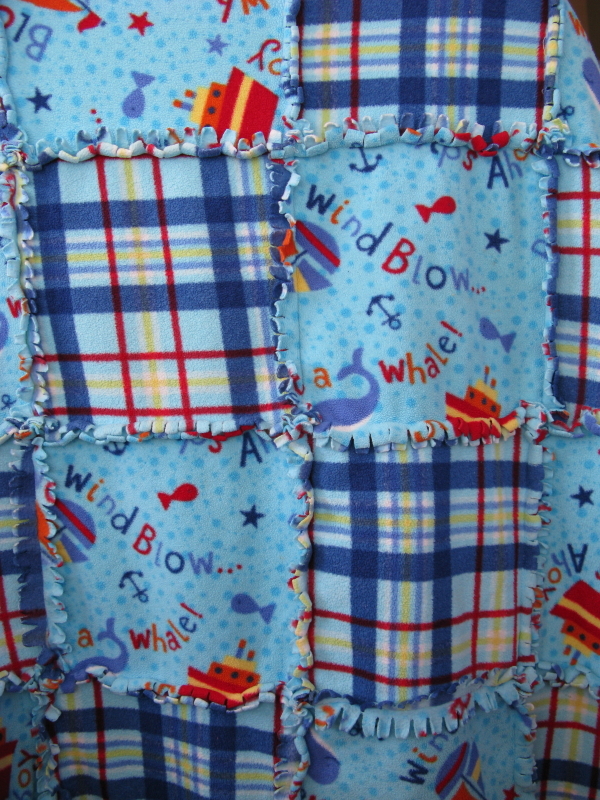 My two-year-old’s blanket, for example, is forever having to be mended. He bites it and drags it around the house and stretches it out with his feet and uses it as a tent and a cape and all kinds of things. So fairly often I have to get out the sewing machine and stitch the squares back together where the seams have broken apart. A couple nights ago, I woke to the sound of him crying. I went in the boys’ bedroom and saw that he was still in bed, still with his blanket around him, so I patted his head, said, “Shh. It’s okay. Go back to sleep,” and returned to my bed to do the same. Two minutes later, he was crying again. This time I looked more closely and discovered that because of the holes in his blanket, he’d gotten tangled in it. His head had gone through one hole and each arm through another until he had no idea how to free himself. And okay, it was kind of humorous. I felt bad for the kid and immediately helped him get untangled, and I vowed to sew up the holes the next day now that they’d become dangerous, but I also laughed about the “hole” thing. Anyhow, the analogy for the day is that I think this happens to us as writers. We love our manuscripts so much that maybe we aren’t really capable of untangling the plot holes ourselves until somebody helps us out. Right now I’m reading five manuscripts from writer friends of mine, and next Saturday the six of us are getting together to help each other get untangled. There was plenty of positive stuff, too, but this kind of constructive criticism really helped me know where to sew up the holes in the next draft. When I re-sewed my toddler’s blanket, I stitched a seam and then held the whole blanket up to the light to check for more holes. Having a critique group who knows what to look for is a great way to hold your manuscript up to the light and see where the holes are. So, as crazy as it sounds, I’m super excited for Saturday the 27th. It might seem like they’ll be tearing me apart, but really they’ll just be showing me the holes I couldn’t see on my own. And that will give me a chance to fix them. What are your thoughts on critique groups and soliciting feedback? What experiences have you had with it, and what recommendations would you give others about it? What kinds of comments have been the most helpful in untangling your plot holes?